Since these "cutie pie" yarn balls are a mere 15g each, I wanted to design something that could let each one have a chance to sing without wasting a bunch. You know the dilemma when you have wee bits of yarn left--too small to make anything significant but too large to be tossed? I wanted a strategy that used as much as possible without having sad little left-overs. So each ball got its very own row. The remaining scraps were used for the squares that frame each end. 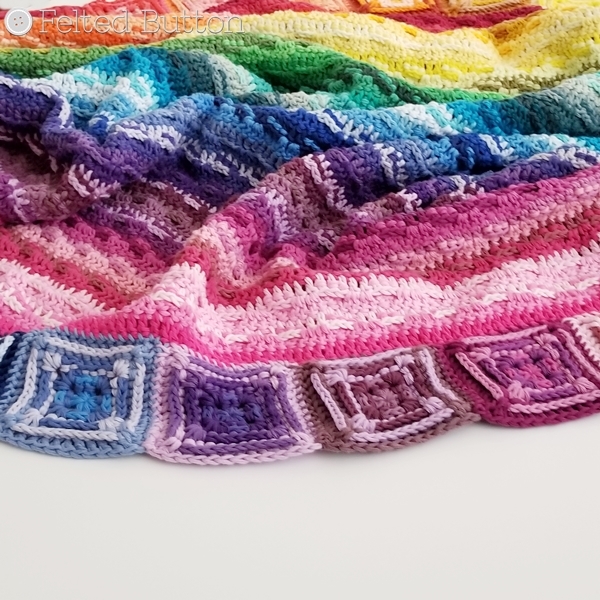 Since the pattern calls for a two-row repeat, one of the rows consumes a bit more yarn, so those colors were used to work the first two rounds of each square with the larger leftover colors used for the next two rounds. 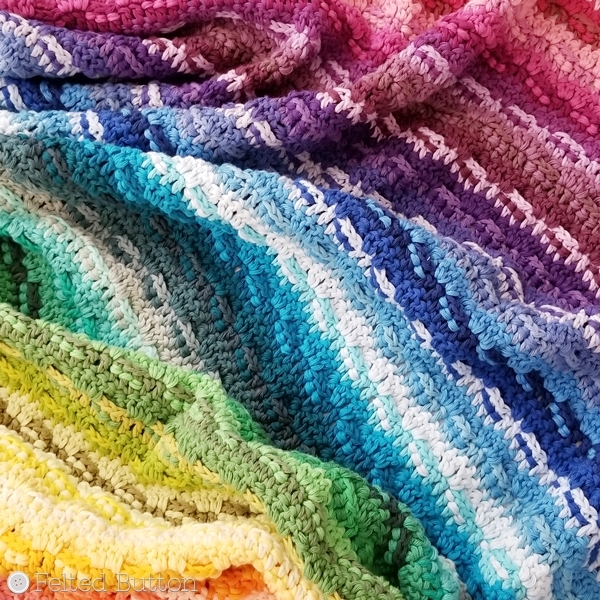 I'm really pleased with the colors, of course, but I'm equally happy with the texture and "scrappy" look of this blanket. I decided not to "frame" it with a border for this very reason. Bonus: The Cahlista cotton* has such a beautiful weight--warm but breathable, which I find delightful all year round. And like I said in my earlier post, it doesn't do the fuzzy thing like some softer cottons. 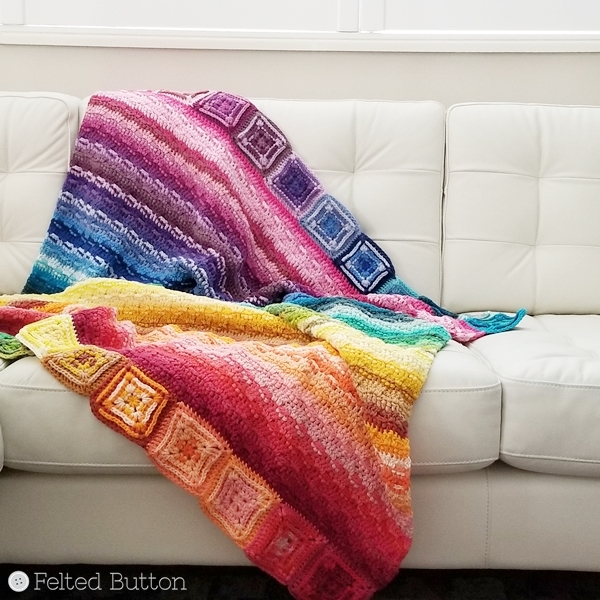 My Every Bit a Blanket pattern will be available for free next week. 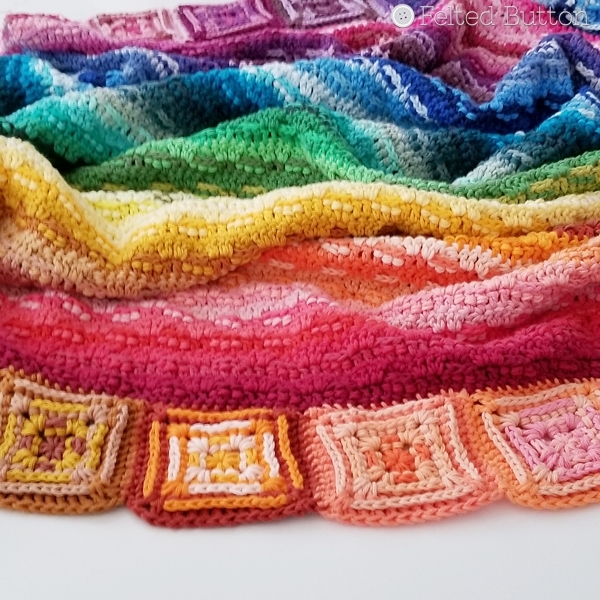 I hope you enjoy your week and find lots of time to crochet, spend time with the ones you love most, and get your hooks poised with yarn at the ready. If you want to get some Cahlista but in larger balls and fewer colors, there are 50g balls available in the same 109 colors, too. 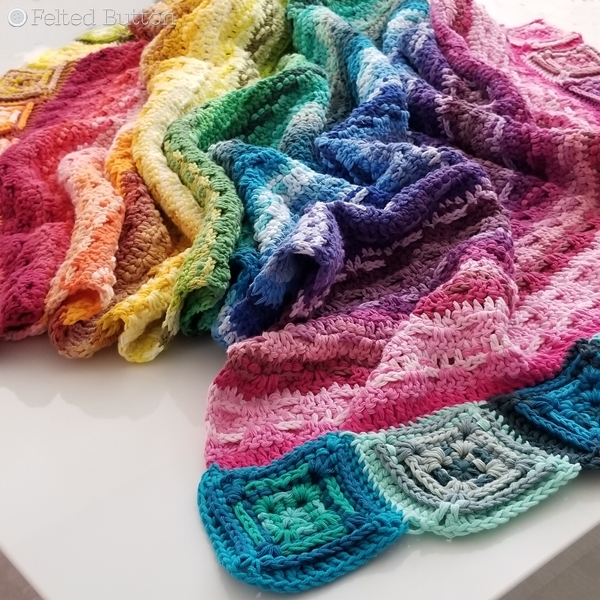 If you use the above links marked with an * to purchase your yarn, it doesn't cost you any more but provides me a small comission that allows me to continue making free patterns. Thanks so much for your support of my work. 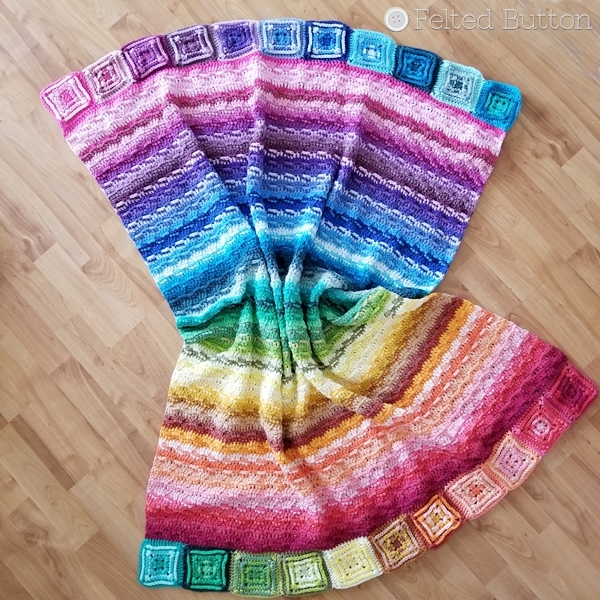 Be back soon with the free pattern! 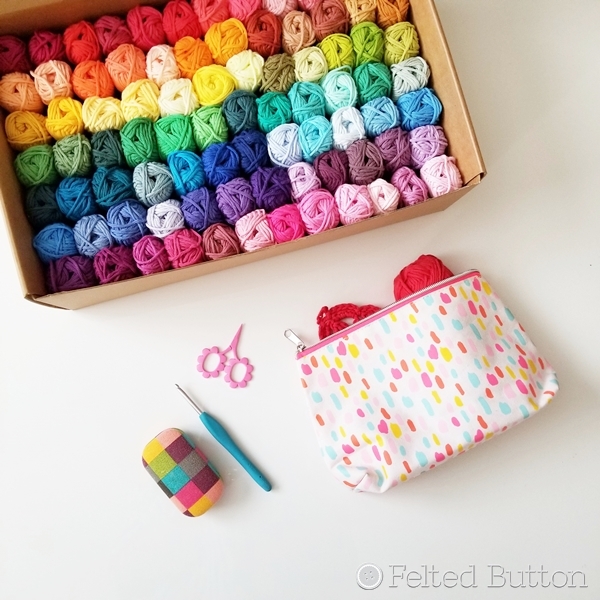 You can be in the "Button" loop on the release of this and other fun patterns and crochet tips by following Felted Button on Facebook here or Instagram here. Thank you, Claudia. That comment makes my little heart happy.